Polish Foreign Minister Jacek Czaputowicz outlined his country’s foreign policy aims for 2018 this week, putting special emphasis on security issues and criticising EU institutions for using “double standards” and acting like a “super-government”. EURACTIV Poland reports. 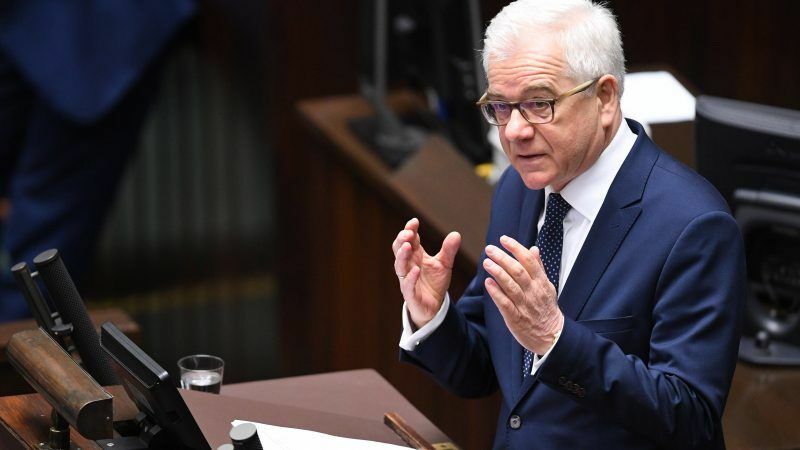 Addressing the Sejm [parliament], Czaputowicz said the European Union was in a crisis and the countries of Central and Eastern Europe wanted continued engagement of the US and NATO in the region, stressing concerns about Russia. “Only a reliable deterrence based on real power can provide us with peace and security,” Czaputowicz said. He praised the formation, in cooperation with Romania, of the ‘Bucharest Nine’. “The postulates concerning the military strengthening of NATO’s Eastern flank, which were put forward by this group of countries, were adopted at the 2016 Warsaw summit and implemented last year,” he said. Czaputowicz also stressed Poland’s commitment to the idea of European integration, mentioning the high support for EU membership in his country. “Thanks to its presence in the Union, Polish citizens can learn and study abroad. They also use the common market. It is not surprising then that 87% of Poles support the EU membership. This is the highest rate in Europe,” he said. He explained that Poland is one of the largest recipients of EU funds but also a leader in their effective spending. The EU in December launched unprecedented legal action against Warsaw’s rightwing government over “systemic threats” to the independence of the Polish judiciary and gave it three months to comply. The deadline for explaining its position was 20 March. 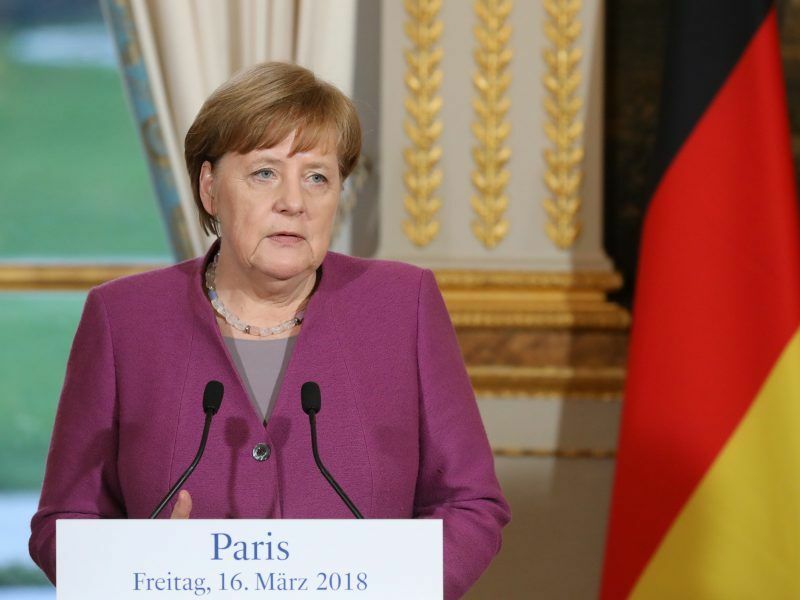 German Chancellor Angela Merkel will emphasise bilateral ties and the need for European unity when she meets with top Polish officials, amid ongoing differences between the allies over Polish judicial reforms, migration and a new gas pipeline. “The EU is strong only with the real support of citizens. The growing wave of opposition to Brussels is not the cause of the democratic weakness of the EU, but its effect,” Czaputowicz said. The minister also stressed that Poland’s goal is to further deepen ties in the sphere of security with the United States, and Warsaw being against any steps “provoking the emergence of transatlantic divisions”, but took a harder line on Russia. 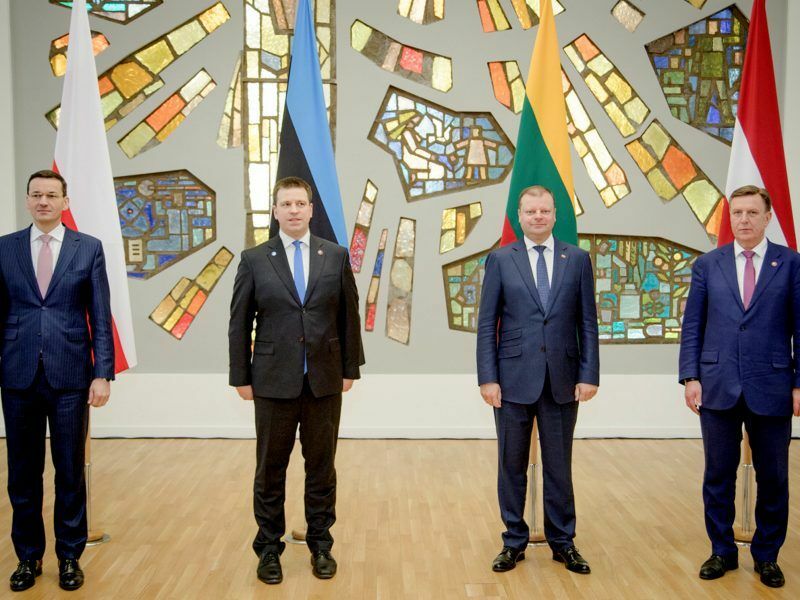 Latvia, Lithuania and Estonia have confirmed that they are against imposing EU sanctions on Poland for alleged breaches to the rule of law. EURACTIV Poland reports. Poland has not understand how the E.U. works . the Polish Foreign Minister Jacek Czaputowicz thinks the E.U. is a self service bar where he can grab his beer the way he likes from the EU’s taxpayer’s money and this lack about EU-understanding should directed Poland with this verminium out of the EU immediately . The Eurozone as a core needs to be a real superstate . To the comment of an European. The idea of european superstate was rejected on several referendums including France and Holland. This idea is not in line with the will of most Europeans. In fact I fully agree, that money transfers should stop to support Eastern Europe and any other area. Countries in Europe are mature and should be able to support themselfs and compete with each other based on their natural advantages. I think polish voters will also support this way. The way forward is not to create some socialist Utopia super-state, but to stimulate competition and enterpreneurship. This lacks in current EU. Where is Elon Musk of EU? Where is Jeff Besos? Where is Google, Facebook, Apple, Samsung? Why should everything in EU happen only by decree by EU? The Polish Government has to decide, what it wants: Poland receives the most money from Brussels, means our all taxpayers money. But this also means, that they have to accept all legal obligations (aquis communautaire): Pacta sunt servanda! to Julian Stoev: we should be happy that there is no unregulated market in the EU! Beware of all those guys as Musk, Besos, Zuckerberg and their firms: their profits are only personal profits, but society does not profit. Even if Google, Facebook, Apple, Samsung oder Starbucks are engaged in your country, you / society will not profit from this, as long as the tax paradises are not dried out! We should have a market, this is clear. This goes with competition and enterpreneurship. Musk works in fully regulated markets and we benefit all from his work. We have cleaner Tesla cars to replace the polluting diesel cars. We have cheaper rockets, see we don’t waste our taxpayer money on Ariane rockets, so that we can use GPS navigation cheaper. What happened with EU Gallileo BTW?, We have also Amazon , where I could buy pampers cheaper from another EU state that from nearby Carrefour. We use Google to find any information on internet. Can we imagine a world without Google? And we have Samsung phones, tv-s washinng machines. Where are EU mobile phones? Nokia went bankrupt. Erikson barely exists. Tax loopholes is unrelated, but sure they have to be closed. Luxembourg? In fact Belgium itself has very low tax rate for certain capital gains…. And I can give you example how Belgium was used to avoid taxes by an American investment fund dealing with South Korea. As for money transfers to Poland, no problem to stop them, this will be very good, but then one may ask the question why should Poland accept french agricultural products, which are heavily subsidised. Ready for such discussion? It is clear that a two-speed Europe is inevitable. 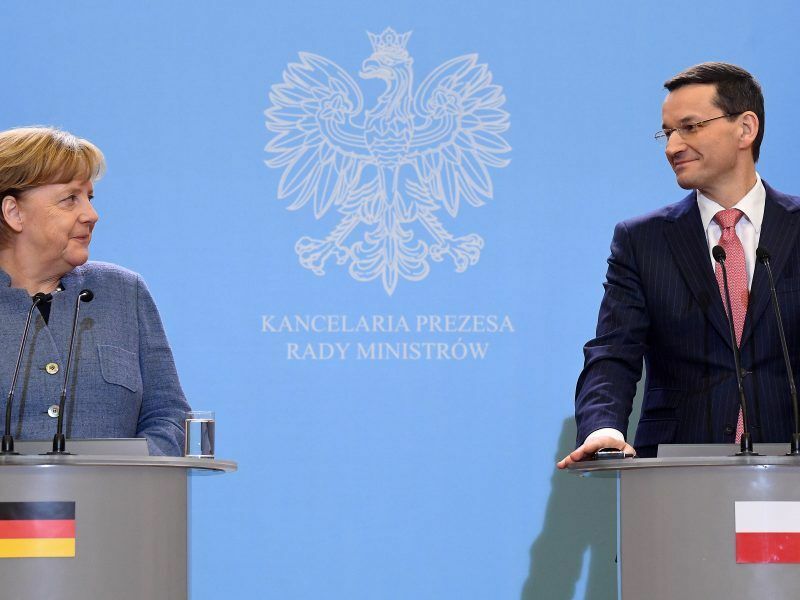 Poland and its sister neighbours do not accept pooling sovereignty and gaining from it but rather insist on retaining national sovereignty at all cost. Their small nation-states come first at all cost. It may be better for these countries to leave the EU and form their own organisation and see how they fair in this world of the giants. We are already seeing them signing up to China without deep analysis of the consequences. Where will be their independent national sovereignty in front of a giant China?